Story time! A year ago I attended an Asian conference and spent several hours in Incheon Airport during layover. Then came the dilemma I never knew I'd have to deal with, my passport was missing! I was about to report the incident to airport authorities when my name was paged. Good thing the flight attendants of Singapore Airlines saw my passport in the plane before heading to their next destination. 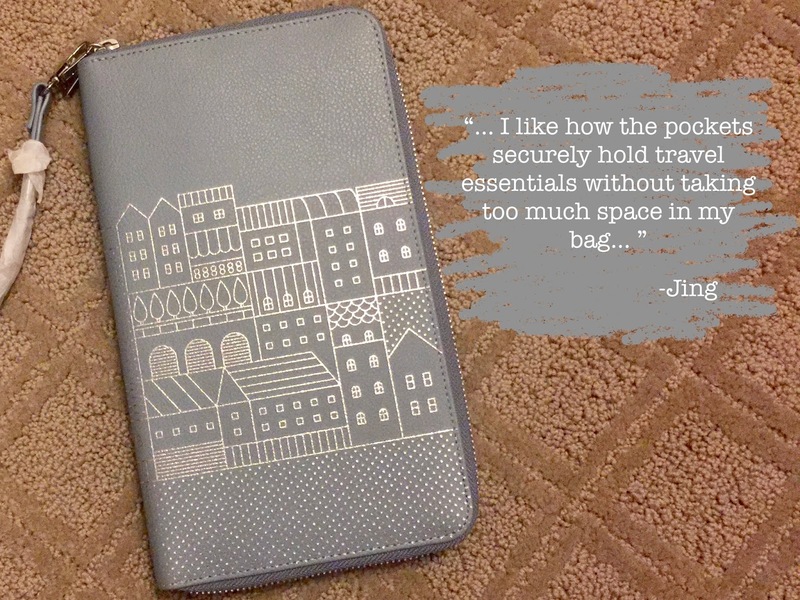 After this unfortunate event, I realized the importance of being organized during travel and decided to get a passport wallet for future use. My last one served me well for three years before the zipper broke and now I bought a new one from kikki.K at 30% off during Powerbook's sale. 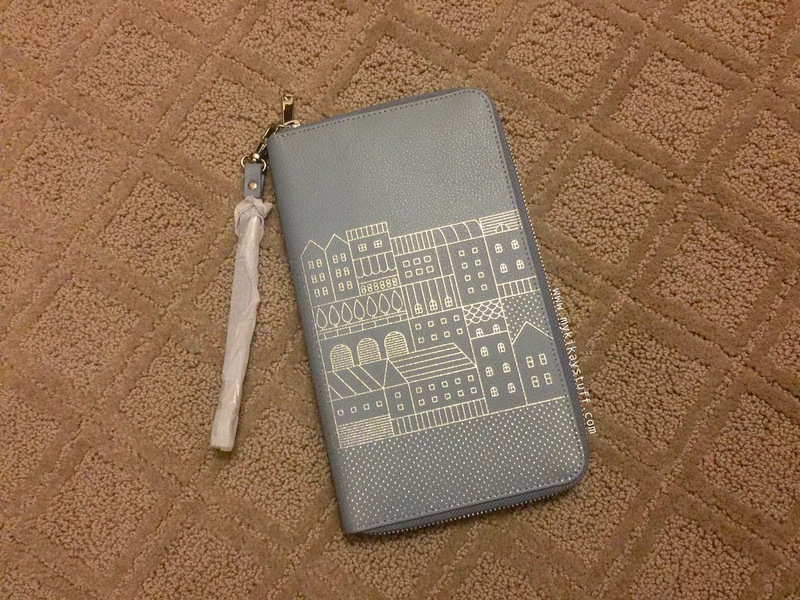 This kikki.K Travel Wallet is in the color gunmetal with silver foil detailing. It's made of textured leather and comes with a detachable wrist strap. 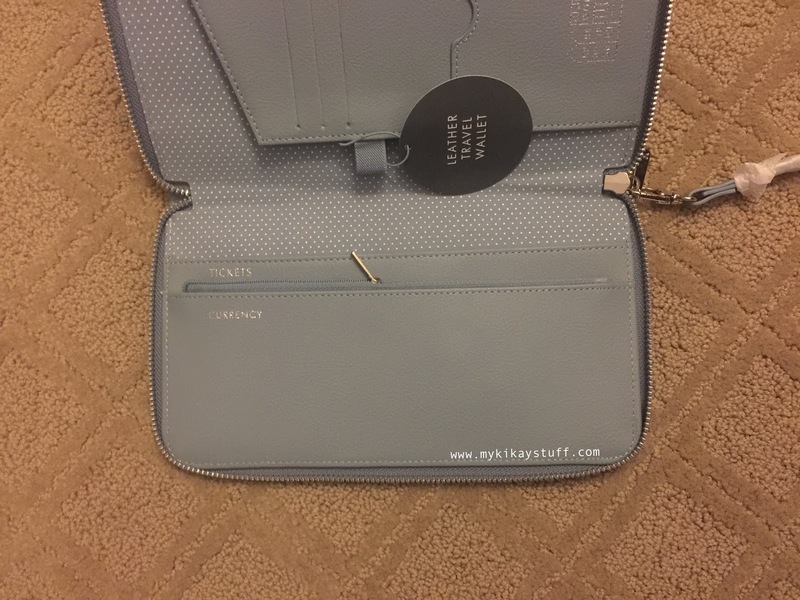 I love that the zipper glides smoothly each time and keeps the wallet all the way open making the contents easily accessible. On one side, you'll see multiple pockets for your passport, credit cards and small documents. I like that it comes with an elastic holder to keep any pen size in place. 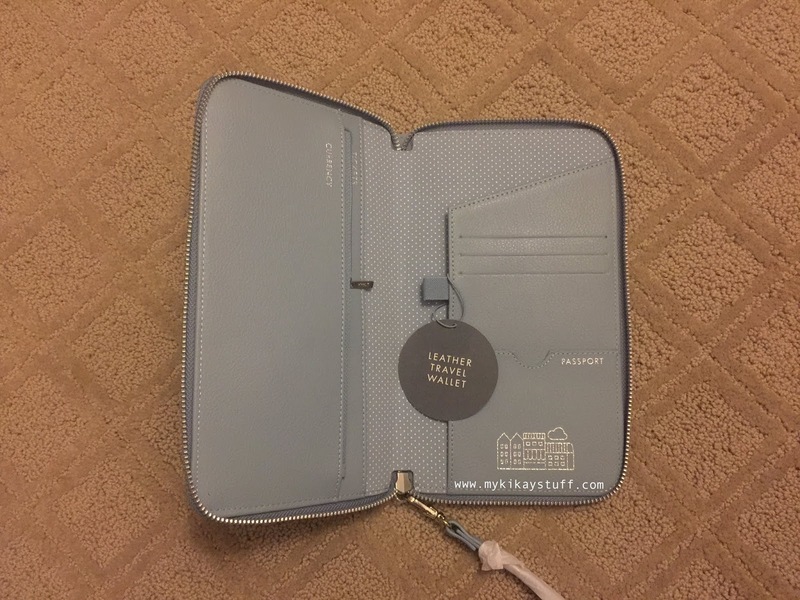 On the opposite flap is a slot for your tickets and a zip pocket to secure your money. At the back is another pocket intended to hold your boarding pass which I think is smartly placed so you won't have to open your wallet when boarding. 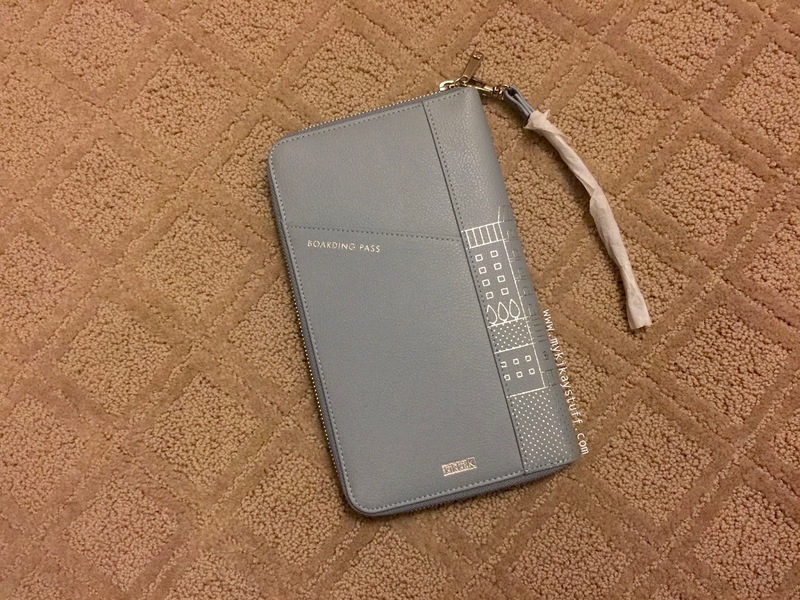 Overall, the kikki.K Travel Wallet is a great accessory to have. I like how the pockets securely hold travel essentials without taking too much space in my bag. It may be a bit pricey but I think the genuine leather pretty much makes up for it. Kikki.K merchandise is available in Powerbooks and National Bookstore. Thank you for taking time to read this post and I hope you'll browse through the site before you go. Please subscribe to my blog and get notified on future posts by clicking this link. Follow me on social media by clicking the icons on the upper left corner of this page.